This 22-suite avant-garde treat and wine spa (you read that correctly) is the coolest dream you've ever had come true. 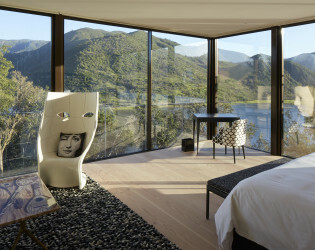 Located in the rolling hills of Chile, this place offers everything from yoga to paintball. In a single day, you can swim, picnic, and hot-air balloon ride, all before the sun sets. Host a social or corporate event at Vik Chile or VIK Vineyard and experience the true beauty of Chile in a most exceptional setting. 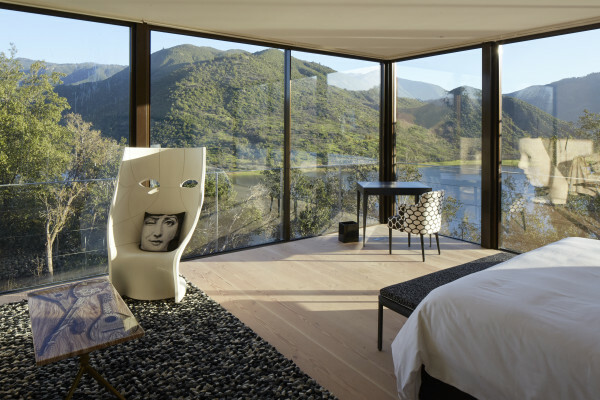 Vik Chile, the newest Vik Retreat is comprised of 22 luxurious suites in a glass and golden titanium sculptural building situated on a hilltop boasting breathtaking 360-degree views of the 11.000 acre VIK Vineyard and surrounding nature. Your special event can take place in our Terrace, Pool Deck, Restaurant Milla Milla, Garden Galleries, Library, Living Room or Meeting Room. Inside our VIK Winery you can choose between the Pavillion, Tasting Room, Wine Library, Outdoor Terrace, Winery Bridge. Our Vineyard has unlimited capacity with tents. 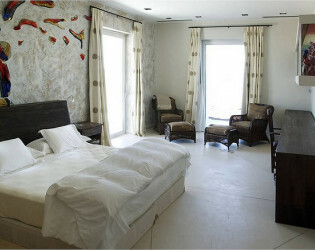 Minimum of rooms booked will be required for weddings and social events that take place during the night. 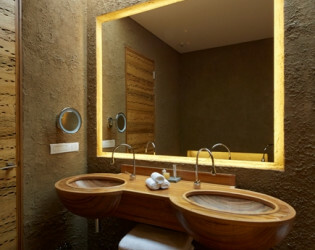 Vik Chile has 5 Master Suites and 17 Suites. All of them feature exclusive art and design, as no two are alike. With great views of the Valley and the 11,000 acre property. 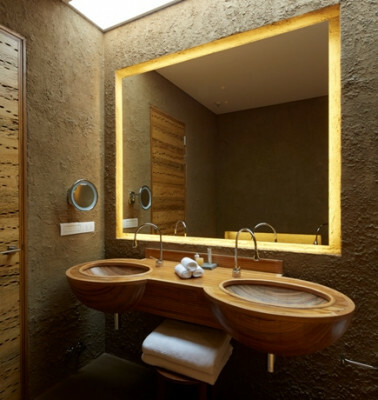 Every space offers a singular décor, art and unique experience for our guests. 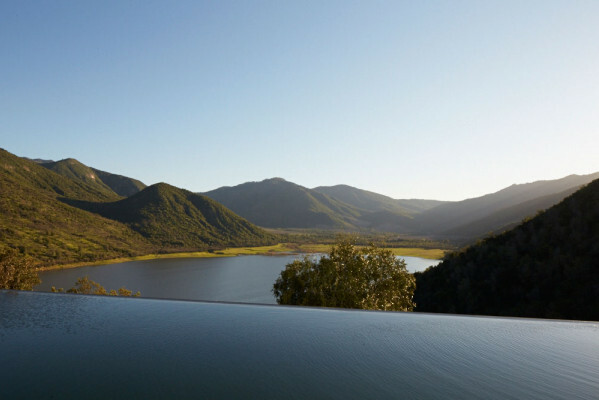 Vik Chile offers an excepcional Experience Concierge program for the enjoyment of all guests, offering the opportunity to see Chile through the eyes of a sophisticated native. 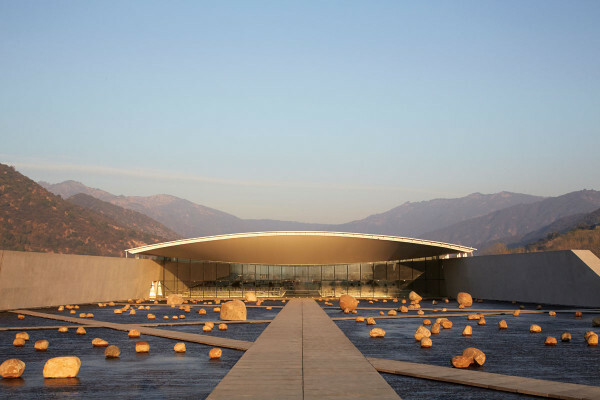 Vik Chile is a glass and golden titanium sculptural building perched on a hilltop with breathtaking 360-degree views across the 11,000 acre property. 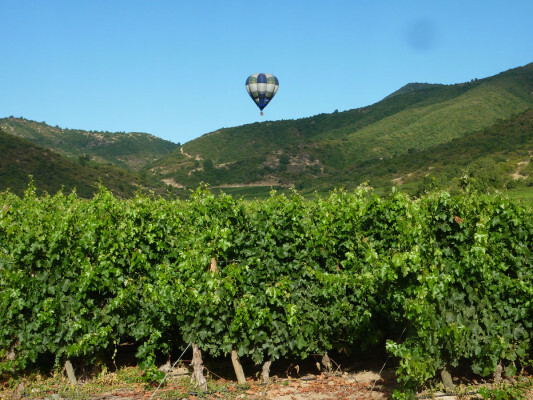 The vineyard can be seen spreading into may smaller valleys and weaving among numerous gorges and mountains. In the distance are the majestic Andes Mountains. Our venue features an exquisite collection of art and art installations, including works by leading international artists. Art and design are central to the interior spaces and showcased throughout the property. Vik Chile welcomes guests through central, open-format public area and gardens. Every suite boasts floor-to-ceiling windows, allowing guests to take into the majestic views across the property. Beyond the public areas, will find a beautiful cantilevered slate pool extending out over the valleys and lake below, offering the sensation of swimming above it all. All guests are invited to take free wine tours and introduction to high presicion viticulture, as well as tasting at VIK including 4 pours. Guests are encouraged to enjoy horseback riding through the VIK vineyard and nature. 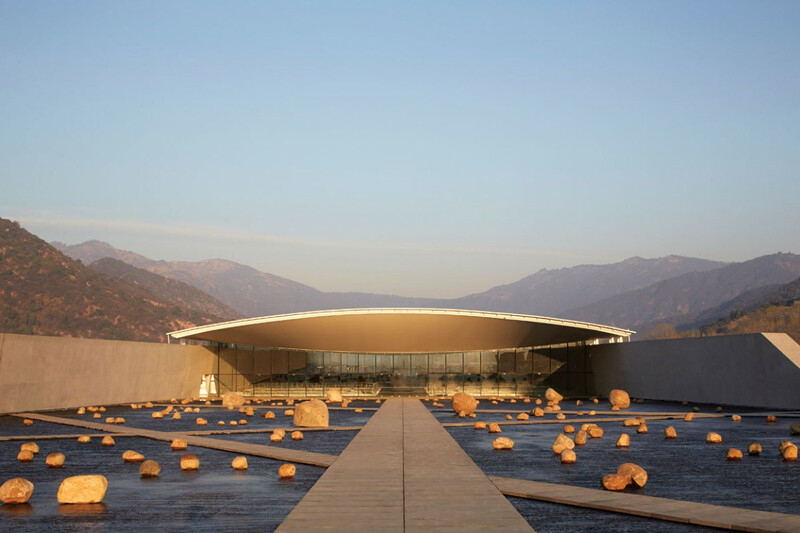 With more than 2000 m2 constructed with clean and contemporary lines, designed by celebrated Chilean Architect Smiljan Radic achieving unique and unprecedented design. This is the restaurant of the Winery, with access from the open terrace. 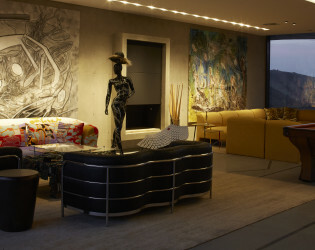 Very cozy space, decorated by Eduardo Cardozo with aluminum pieces, combining with the warmth of the furniture. 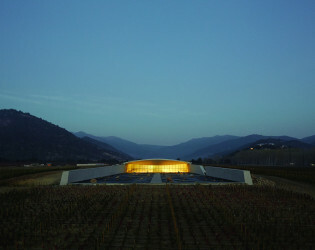 Flat open area that connects the Winery with the Pavillon Restaurant. Designed as concrete footpaths that crisscross a floor of rippling water. Indoor, long bridge where the wine casks are situated. 11,000 acres vineyard with unlimited capacity with tents and the possibility of BBQ at the Cerro El Puma. This is the Viña Vik Restaurant, located on the first floor is a cozy glassy space with a spectacular terrace. - View: Of the valley, peaks and vineyard. Open door deck of the the swimming pool. 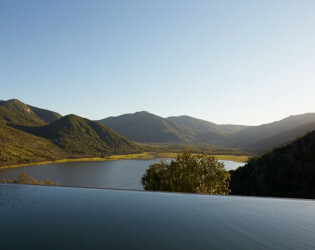 - View: Views of the cantilevered slate pool extending out over the valleys and lake below. 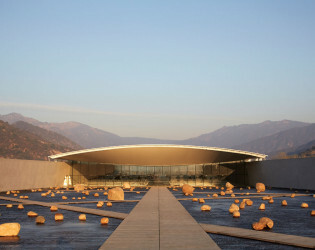 Galleries of the spectacular square Zen Garden of the Viña Vik. Very cozy space in a very well equipped library. The Milla Milla Restaurante, our indoor dining room, highlight the Chilean terrior through use of locally-grown and produced ingredients and continued emphasis on authentic South America cuisine. The Milla Milla Pavilion, located by the winery, is the perfect place for a delicious lunch. The VIK tasting room, the perfect place to experience our wine tasting. The Terrace, our outdoor terraces overlooking the valley, where you can have a fresh lemonade at the end of the day. 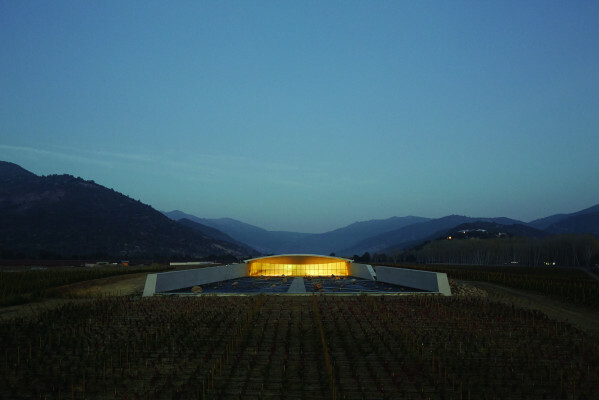 Viña Vik is comprised of 22 luxurious suites in a glass and golden titanium sculptural building situated on a hilltop boasting breathtaking 360-degree views of the 11.000 acre VIK Vineyard and surrounding nature. Every suite boasts floor-to-ceiling windows, allowing guests to take into the majestic views across the property. 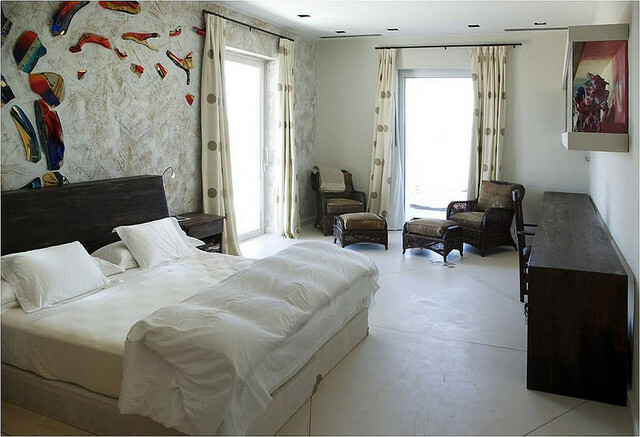 Every space offers singular décor, art and unique experience for our guests. 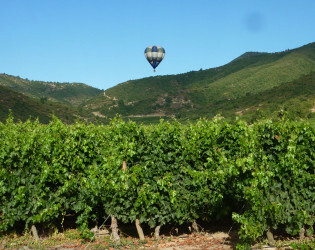 The vineyard can be seen spreading into may smaller valleys and weaving among numerous gorges and mountains. In the distance are the majestic Andes Mountains. 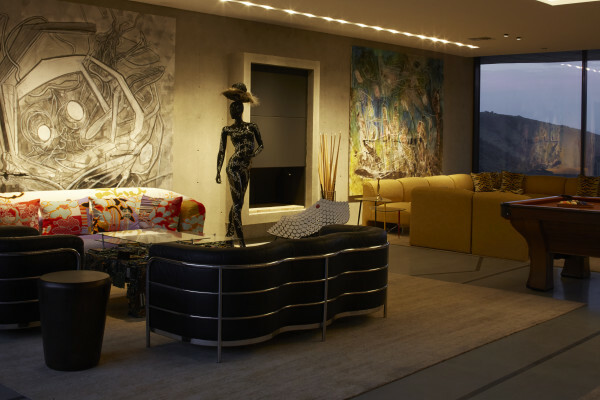 Art and design are central to the interior spaces and showcased throughout the property.